ST. PAUL (July, 2014) – In a rare recognition, Minnesota Business magazine has named Skyline Exhibits a finalist for the Minnesota Manufacturer of the Year award for the second consecutive year. Skyline, based in Eagan, is one of three companies to reach the finals in the ‘Best in Class: Large Company’ category. The other two finalists are Turck and Uponor. Nominated companies were judged on recent accomplishments, new products or services, competitive improvements and successes. "Skyline is a progressive company and we are committed to ongoing product development," said Bill Dierberger, President, Skyline Exhibits. "The products we design and manufacture help our clients exhibit more efficiently and effectively. Our goal is to help them grow their businesses through trade shows and other marketing events.” Over 29% of current Skyline revenues can be attributed to products that did not exist 5 ½ years ago. Over the past few years, Skyline launched several new exhibit systems including Envoy®, which has become Skyline’s most popular system, and the revolutionary WindScape®, the world’s first air powered exhibit system. Both systems received awards for product design. In 2012, Skyline won the coveted Outstanding Corporate Innovator (OCI) Award, given by the Product Development and Management Association (PDMA). The OCI is an international award that recognizes sustained success in new product development and has been won by some of the world’s largest and most recognizable brands like Apple, BMW, Dow, Harley-Davidson, Merck, PepsiCo and many more. 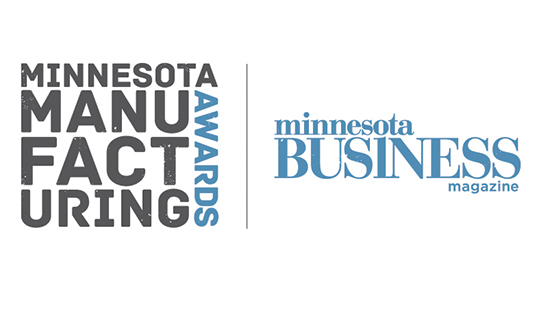 Each finalist for the 2014 Minnesota Manufacturer of the Year Award will be profiled in the October 2014 issue of the Minnesota Business magazine, and the winner of each category will be announced at a September awards event in downtown Minneapolis.